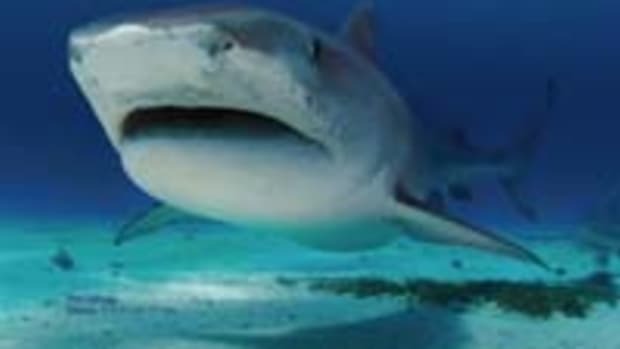 Marine artist and conservationist Guy Harvey will host the South Florida premiere of an international documentary on sharks at The Museum of Art/Fort Lauderdale. Nova Southeastern University’s Oceanographic Center presents a public showing of “This is Your Ocean: Sharks,” at 6:30 p.m. Oct. 20 at the University’s Miniaci Theatre. All proceeds will benefit the Guy Harvey Research Institute at Nova’s Oceanographic Center. The documentary strives to reveal up close the misconceptions and myths surrounding the misunderstood predators of the sea and promotes global shark conservation. Millions of sharks are killed each year in the illegal shark-fin trade to satisfy the global appetite for shark-fin soup. “This is Your Ocean: Sharks” is a prologue to the Museum of Art/Fort Lauderdale’s exhibition “Shark!,” a multimedia spectacular beginning on May 13, 2012, that will focus on the ocean¹s top predators as illustrated by marine artists Guy Harvey, John Singleton Copley, Damien Hirst, and many other artists.